July 1910. 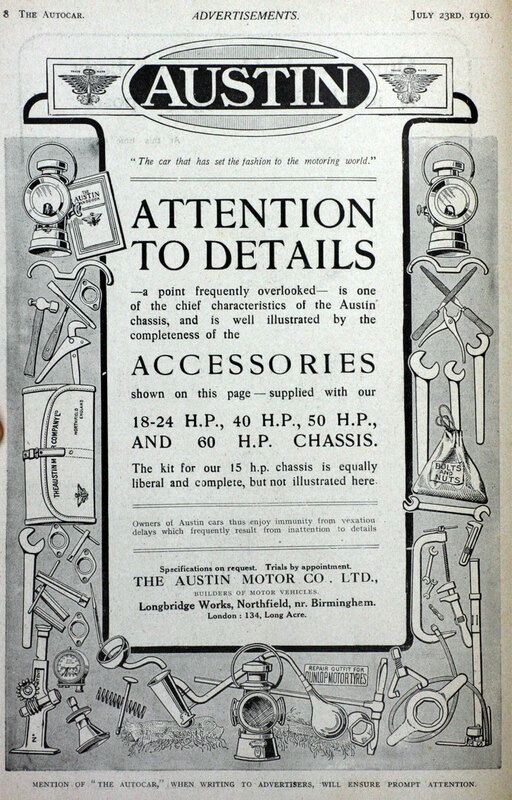 Advert for 18-24 h.p., 40 h.p., 50 h.p. and 60 h.p. models. Note: This is a sub-section of Austin. 1908. This was a Austin: 40 h.p. with two additional cylinders so that they had a six-cylinder model for racing. Around 14 made. This page was last edited on 28 April 2012, at 13:06.